It’s finally starting to cool down here in Phoenix – I don’t remember it cooling down this quickly in past years, but I looked at the weather app this week and I saw 80 degree temps in September. That, my friends, is huge! I don’t know if that makes you excited but it makes me want to do cartwheels on the front yard – I absolutely LOVE cooler weather! The last few nights have actually been noticeably cooler too – I can actually let the house breathe with the windows being open – which I’m excited about. With cooler weather comes more room for soups and chilis – pull out the pressure cooker and crock pot because they will be used over, and over, and over again this fall and into winter. From soups to chili recipes, I’m super thankful that we have easy ways to prepare dinner for our lovely families. 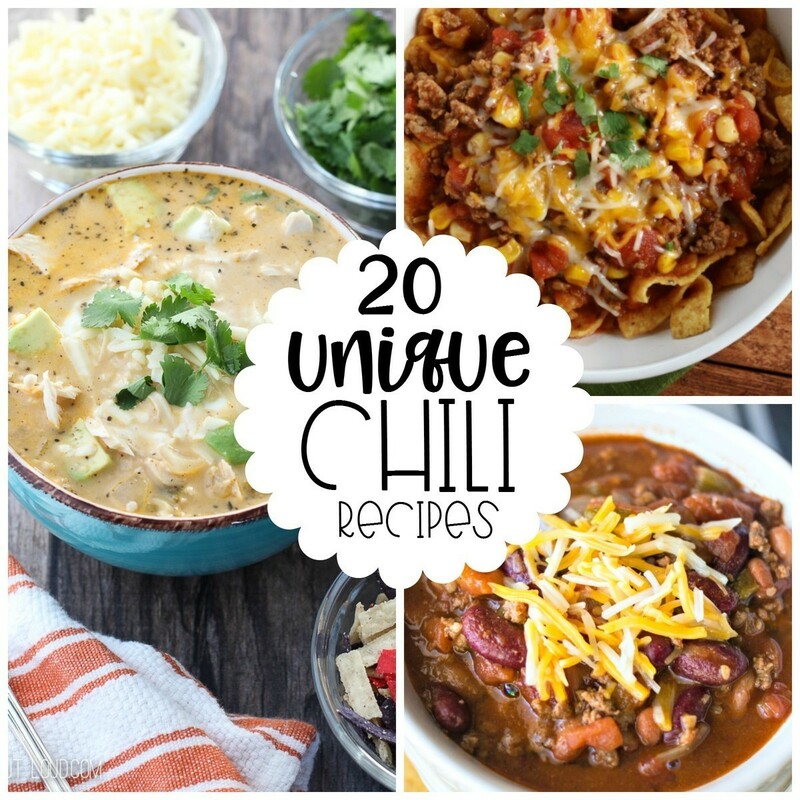 Because everyone deserves to have a wonderful dinner – bookmark these 20 chili recipes to help you incorporate some variety in your dinner meals this fall and winter. 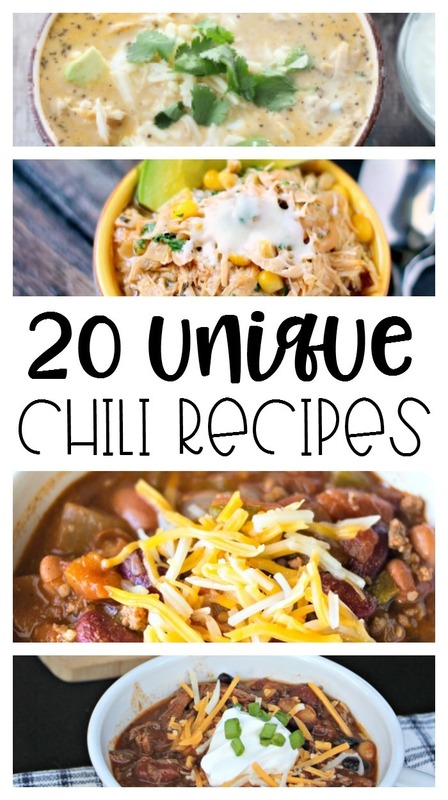 Do you wait until cooler weather to enjoy chili? Or do you enjoy it all year long?